Value packs make it easy to be prepared for friends' and family members' birthdays. 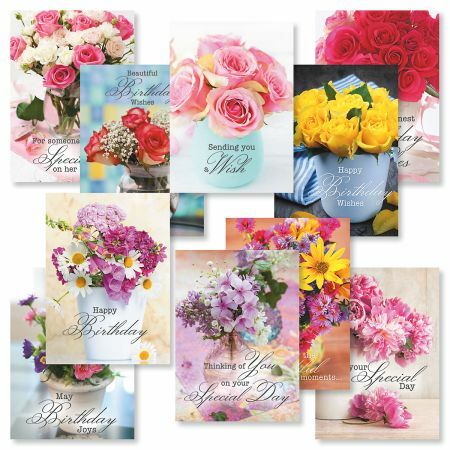 Greeting cards are 5" x 7" and come with white envelopes. Printed in the USA. Inside: Your birthday is always such a pleasure to remember...just like you! 2. Front: For someone special on her birthday.